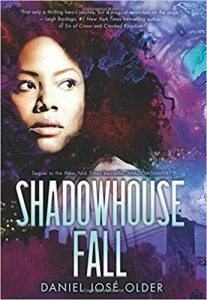 Here’s a sequel I’ve been very excited to read: Daniel José Older’s Shadowhouse Fall! 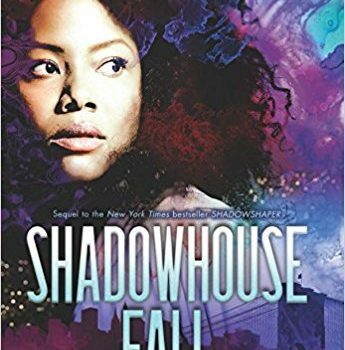 Following up on the smash hit, Shadowshaper, the sequel returns to Brooklyn and its band of unlikely teen ‘‘urban sorcerers’’ in yet another exciting thriller that tackles both the prevailing social issues of our time and some dark monsters intent on nefarious deeds. Every­thing Older excelled at in the first book is back and then some, with plenty of righteous teen anger blended into a larger story about, well, the future of the world. Most importantly, protagonist Sierra continues to be a perfect combination of power and pathos, as she leads the members of Shadowhouse into the fight of their lives and a new chapter in this ongoing series. So, where to begin? The first book saw Sierra become the leader of a group who use art (pri­marily graffiti) to channel the spirit world and take on the forces of darkness bringing war to their Bedford-Stuyvesant neighborhood. Sierra’s personal connection to these spirits is a key com­ponent explored in Shadowhouse Fall, as her grandfather’s death leads her on a genealogical quest to understand more about where she comes from and how she has been intrinsically linked to Shadowhouse since her birth. That link is a key plot point in the second book and opens up all kinds of possibilities for the characters’ futures. But as much as the mystery about Sierra’s past is significant, there is also a powerful deck of tarot cards to investigate, a positively terrifying “Hound of Light’’ to run away from, and the return of the ever creepy Sorrows. (There are also a few romantic issues to work out, which don’t overwhelm the plot but do keep things interest­ing.) Clearly, Older is a master at keeping the pace moving and pages turning, but where he excels, where he really hits the ball out of the park, is the way he keeps the fantastical elements so grounded in the neighborhood and lives of his characters. Bedford-Stuyvesant is not the Green­town of Ray Bradbury or the Ottawa of Charles de Lint, but a far more turbulent and frustrating 21st century Brooklyn. Sierra and her friends are rebelling against metal detectors at the doors of their high school, questioning the subtle racism in their classrooms, and their streets are haunted by fatal victims of cop-shootings. In this way Older parts from YA fantasy authors of the past, by refusing to shy away from the social conflicts and violence that are hallmarks of contemporary American life. But that same writerly sensibility that is so present in Bradbury’s and de Lint’s (and certainly Stephen King’s) works, that ability to infuse a story with the physical aspects of its real-world setting, is everywhere in his books. Sierra is firmly planted in Bedford-Stuyvesant, and in reading the Shadowshaper series, readers will be there as well. 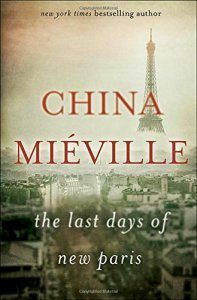 Finally, every reviewer who discusses Older’s books mentions the impressive diversity of his characters and rightfully so, as he is proving with each new release how a broader range of ethnicity and sexuality adds to a novel’s appeal. What was clear to me while reading Shadowhouse Fall is the very Americanness of this series. Whether readers live in Brooklyn or Omaha or Los Angeles or Miami (or frankly any small town or suburb in between), the issues that Sierra is grappling with about identity and freedom and power are just as real to them as they are to her and her friends. Daniel José Older may be writing about urban sorcerers in the city, but his teens are relatable to any young person who has ever desired to have their voice heard, their identity respected and their dreams realized. We have always drawn lines between good and evil in fiction; Older demands that we look outside and see them on our streets as well. 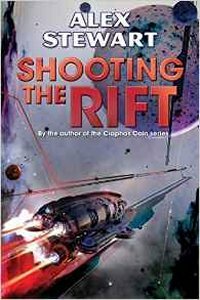 Keep an eye on this author; he’s taking us all to places that we really must go.